At Capital Captions, we specialise in subtitling services for broadcast, web, social media and VoD. We take pride in the fact that our captioning services are always high quality, reasonably priced and written by professionals. Our ethos is to provide tailor made services and we never use automation software. We pay close attention to detail in order to make the captioning process as easy as possible, and promote the use of more subtitling worldwide. At Capital Captions, our principles, along with our genuine interest in the well being of deaf and hard of hearing audiences are just a few of the things that make us one of the top UK subtitling companies online today. Video translation, foreign subtitle creation and closed captioning in over fifty languages. Low cost, fast turnaround closed captioning services for broadcast, online and VoD content. Video subtitling for online and broadcast content including transcription, formatting and hard coding. Whether or not you choose to work with us or one of our competitors on subtitling, closed captioning or transcription services, there are a few things to consider when finding a good online partner for your projects. The top UK subtitling companies can often provide package services to cover a range of different requirements. Reputable companies can usually provide transcription services, subtitling services, logging rushes, copy typing, closed captioning, foreign subtitling and translations as a package. Acquiring typing services this way is great for both saving money and ensuring consistency in your documents, captions and transcripts. Flexibility is also important when it comes to urgency. For example, due to the way in which users share information, urgent subtitling services are often required for social media and YouTube subtitles. Any top UK subtitling company should provide expedited services of 24 hours; some even less. Capital Captions offer a fully inclusive service for all of your video transcription needs. We work with subtitling, closed captioning, translation, transcription, logging rushes, video editing and copy typing. Contact us for more information. Due to differences in complexity from video to video, subtitling prices are not typically offered upfront. The typical procedure for quoting subtitle prices is to upload your video so that your UK subtitling company can check the number of speakers, format, language and specifications required before giving a price. This price is usually calculated on a per video minute basis. 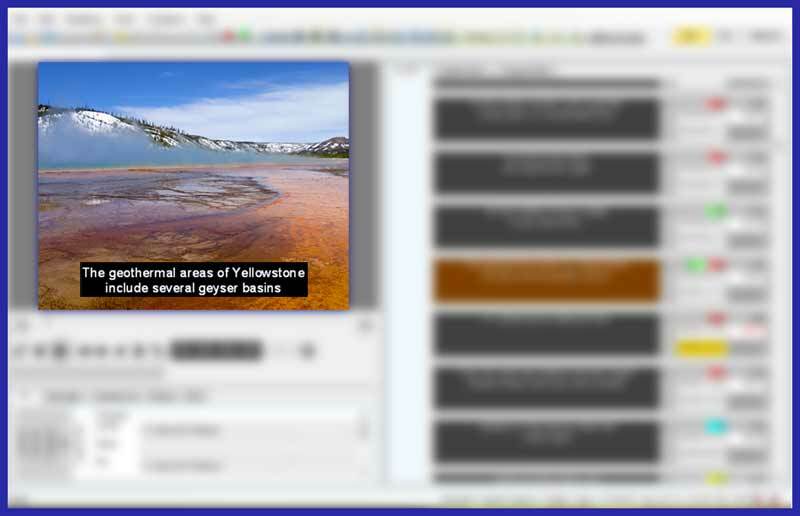 Some captioning websites offer exceptionally cheap subtitling services using voice recognition and automation software. Some may also outsource their transcription services abroad and not truly UK subtitling services. Whilst these are an option for clients wanting the cheapest subtitling option, the results are typically far inferior. Take care that cost savings aren’t negated by having to spend time and money making significant corrections or even rewriting your subtitles entirely! Capital Captions prices start from £2.00 per audio minute for subtitling and £3.00 per audio minute for closed captioning. Our prices reflect our mission to promote accessibility, whilst employing only qualified, experienced professionals to take on our captioning work. Checking subtitling reviews for your chosen UK subtitling company is important in order to ensure a top quality service. However, it’s also worthwhile looking into the company background. Many consider values and principles statements to be management jargon. While this can be the case, learning more about a company can give you some idea what to expect from services. Take time to read the history and About Us pages on your closed captioning or subtitling companies. If they focus on their annual turnovers, it’s likely that you might not get the best deal unless you’re working on large foreign subtitling projects. If their main focus is on dubbing and they provide subtitle services as an ‘add-on’ service, your work may not be prioritised. Also, maybe give them a call. See if their manner and approach fits with your business style: are they friendly or serious; helpful or abrupt? Consider what your chosen company specialises in, and what its ethos is before choosing to go ahead. Founded by Jodene and Anthony Antoniou in 2017, Capital Captions is a family owned and managed company. We truly care about quality subtitling and closed captioning services for the deaf community, and even run a sister company, My Little Ears, dedicated to children’s hearing loss. Any reputable UK subtitling company will know there’s more to transcription than simply converting sound to text, just like there’s more to subtitling than simply syncing text to video. Professionals write high quality video subtitles using strict grammatical, structural and formatting guidelines. In summary, subtitles should be easy to read. Lines should be split where natural breaks in speech occur or where it makes grammatical sense. Similarly, for closed captioning, italics, hyphens and brackets need to be used consistently and accurately to depict sound effects, speaker changes and onscreen information. The adherence to well written closed captioning and subtitling guidelines can really make a huge difference to a viewers experience of video subtitles: amateur versus professional! Capital Captions take subtitling and closed captioning guidelines very seriously. Check out our Subtitler and Transcriptionist Guidelines to see the standard rules we apply to captions created without service provider specifications. Subtitle formatting information can be hard to find online. A company that publishes subtitling information may offer both services and subtitling advice. For video makers new to subtitling and closed captioning services, understanding exactly what is required can be difficult. A website that is basic and is designed to simply receive your files, subtitle and return them may sound appealing. However, in reality, this service may not turn out to be the best option. Unnecessary subtitle burning or subtitle format conversion can be expensive. Consequently, getting your subtitling format right first time and understanding exactly what you need can save a lot of money. Remember, a subtitling company that is happy to provide information is likely to provide the most tailor made service. At Capital Captions, we aim to provide as much subtitling and closed captioning information as possible not only for the benefit of our clients, but also for professional subtitlers and caption users. Understanding the importance of closed captioning can only ever help to improve accessibility for all audiences. We know what we’re talking about, and we’re happy to share information. Need to Decide on a Top UK Subtitling Company for your Projects? For most clients looking to use subtitling or closed captioning services, the first port of call (as always) tends to be Google. Just type in ‘Subtitling Services’, ‘UK Subtitling Company’ or similar; check out the results on page one and hey presto! Whilst a Google search is the most popular route to procuring services online, it’s not necessarily the best option. After all, page one on Google doesn’t necessarily mean the lowest priced subtitling or the best quality. In the captioning world, there’s more to take into consideration when looking for a top UK subtitling company than simply who won the race to top Google. After all, competition breeds excellence. Other obvious routes to researching the best UK subtitling companies online include Google, Yahoo or Bing reviews. Some clients might even look at employee review forums such as GlassDoor to seek out information on company reputations. Reviews are great. Google is great. But these five important indicators suggest not only a company that has experience, but one that also cares about quality and not just making big bucks. Whatever service you choose; whichever company you choose to provide it, Capital Captions, wishes you all the best on your subtitling journey!